Pasta Deli will be open this coming Anzac Day Public Holiday 25 April 2016. We will be open from 8am through to 7pm this Monday. So come and join us for breakfast lunch or dinner. Also, don’t forget we can cater for your functions and events this long weekend with delivery available. 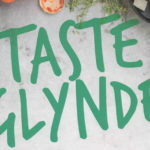 Pasta Deli will be featuring at 'Taste Glynde' Sunday 1st May 11am - 4pm, Robern Menz - 71 Glynburn Rd, Glynde. We'll see you there. Pasta Deli will be open this coming Anzac Day Public Holiday 25 April 2016.